Is a great reminder of how God can turn our greatest tragedies and failures into beautiful acts of love and grace. Abandoned by her husband for another woman, Tammy Kuhn, an organ procurement coordinator often finds herself in tense and bitter moments. After an altercation with a doctor, she is fighting to keep her job and her sanity when one late night she encounters her old flame Nick. She walks right into his moment of facing an unthinkable tragedy. 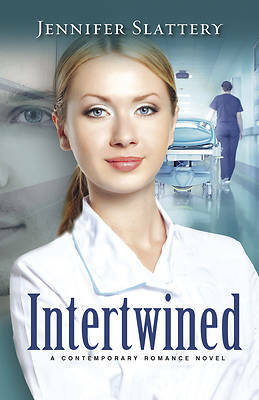 Because they both have learned to find eternal purposes in every event and encounter, it doesn't take long to discover that their lives are intertwined but the ICU is no place for romance....or is it? Could this be where life begins again? Intertwined, part of New Hope Publisher's contemporary fiction line, is a great reminder of how God can turn our greatest tragedies and failures into beautiful acts of love and grace. Readers will fall in love with the realistic characters and enjoy the combination of depth, heart-felt emotion and humor that makes Jennifer's novels so appealing. Readers will be inspired to find God in every moment and encounter in their own lives! This book is a great resource for a book club, discussion group in women’s Bible studies, or as a ministry resource to spark conversation about practical ministry needs.